Brilliant, from start to finish! 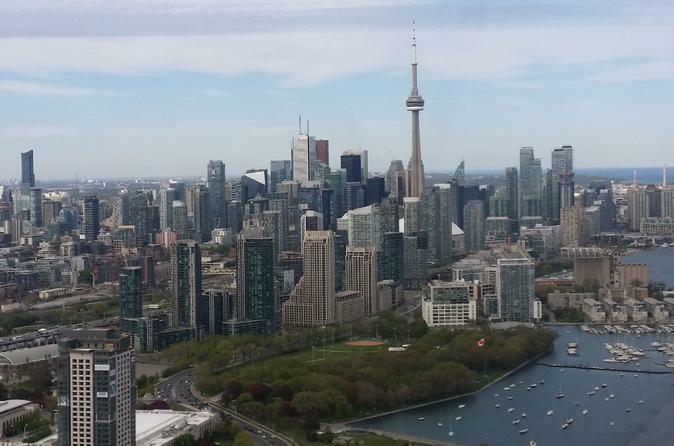 I would highly recommend everyone considers this tour for a different view of Toronto. Nice little touch - we also received a souvenir photo. Se não tiver reservado, faça imediatamente. Foi tudo perfeito. Chegamos com algum antecedência e sem mesmo pedir nos ofereceram antecipar o vôo. O vôo parace ser rápido, afinal o que são 7 minutos? Mas não se engane. É tempo suficiente pra essa experiência incrível. Você verá Toronto de um ângulo inigualável. Toda equipe muito simpática, profissional e pontual. Especialmente com a recepção do Fernando, brasileiro que trabalha no receptivo. I was great....what more needs to be said! The booking was a peace of a cake...the personnel was incredible nice,friendly and highly professional..
Staff were very helpful, super friendly and accommodating. Trip was amazing and super fun! Difficult to find, more signs and directions needed after getting off the ferry. Even just mentioning hanger 6 would have helped. This was a great tour and the 7min one was enough to give you a great experience as well as the best view of the city. 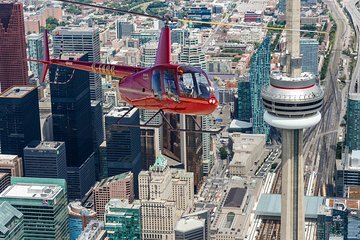 According to them they are the only one allowed to go near the CN tower aside from military aircraft.